Love the shirts we got for gifts to our grandsons. Good quality, and good service. Love my shirt! Will be ordering from you again soon! Absolutely love the t-shirts we ordered. Great quality and material. Will be ordering more in the near future and telling everyone where to get theres. My Father loved the shirts, they fit him perfectly. Thank You and Godbless. I was amazed at how quick my order arrived! I am 100% satisfied with Christian Apparel Shop and would definitely tell anyone who’s looking for t-shirts to shop ChristianApparelShop.com. Good website. Order arrived quickly and as described. 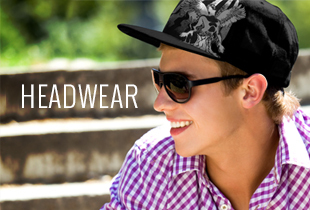 Great clothing and service. God bless! Great job! Great quality shirts and my orders are always here fast. Thank you and God bless!! Amazing! I purchased the 3 t-shirts for my husband for Father's day. I absolutely love the quality and prints/color are perfect and it's true to size. I would definitely recommend and shop at Christian Apparel Shop. I am completely satisfied with my purchase. It is a pleasure doing business with your company, plus I have received lots of compliments on my new "One Nation Under God" t shirt. Looking forward to purchasing a few more shirts in the upcoming weeks. Thank you and God Bless. The shirts were of good quality and size was correct. They came when they were scheduled to. So overall a great experience. Love all my shirts. Great quality and great selection. Very pleased. Thank you. 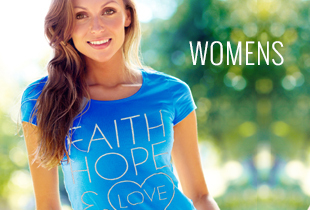 Best place to buy Christian apparel, great quality and quick shipping and great prices. Keep up the good work in my opinion you guys are # 1. Another great experience! Super fast shipping! May God continue to bless your business. I've ordered many shirts from Christian Apparel Shop and have always had great service!! No issues what so ever. Great service!! Supper fast shipping! I love the shirt, highly recommend. Keep up the awesome job and may God bless u ALL. I would not change a thing, my service with this company has been excellent! Great service with fast delivery! Hi i was very pleased with my order when i opened it up to look at the shirt i was so surprised that it looked even more pretty in person and the fabric is soft and looks comfortable. I will definitely order items from here again and i will pass on the word to other people. I was also pleased that it had came really quickly and i liked how i could track my order that was cool. I would give you a 5 star rating. I hope who ever is reading this has a blessed day and a wonderful happy holidays. Great quality of shirt. Received product in a timely fashion. Will order again with this company. I was very happy with the quality and accurate sizing of the tee I ordered! The shipping was quick as well. I will return and shop again soon. Awesome job! I got a lot of compliments on the taco shirt :) Keep up the Good News and the good work! It was the best experience 5 stars. I had a great experience buying from Christian Apparel Shop. I would definitely recommend this company in the near future. Thank yall and many blessings to come!!! God Bless!!! Everything went fine, the shirt looks great! I hope my mother in law enjoys it for a Christmas gift. Great products and fast shipping. Thanks! Very fast shipping. Amazing products. I WILL be getting more from here!! Thank you, the two shirts arrived to our door in good order. The sizing charts were also correct on your website and the shirts were a correct fit. I received my order and I'm very happy with all the t-shirts I purchased. Thank you and God bless! Extremely satisfied, order shipped timely, shirts are good quality. Good Job! I'm happy with all the products I recived from Christian Apparel Shop. Excellent service, quality and value. All God's blessings. I received my order promptly and it is exactly what I wanted. Your prices are competitive and the quality is good. Thank you for a great source of Christian clothing. I am very pleased with my purchase. This shirt is my statement to the world! And some of the members of my church sure loved it. Thank you very much. Shirts are beautiful!! Bright colors, wonderful designs, perfect fit. I'll be ordering more. Your service and turn around time were so fast. Received the merchandise when expected. The shirts I ordered were what I hoped they would be. All went fine. The shirts I ordered were gifts for a friend. The messages were great, and I appreciate the fact that a lot of the shirts I was looking for were available in the larger sizes (we needed 3X & 4X for him). They were mailed out to his home right away, and he wrote that he digs 'em! Thank you for your site :) Cheers! Great design and great quality shirt. Glad to have it. Thanks. You all did a great job on getting my order out! Thank you very much, I had been looking for that shirt for a while. Just received my order and I am very pleased with the t-shirts.. Also loved the quick turn around on my order. Thank you and I WILL shop here again! So very satisfied with your products & service! Super speedy delivery & it never hurts to have an awesome promo code for Father's day to make your gift giving that much easier to do! Thank you & God bless! Everything was fine. The ordering process went well and the shipment was received on time as promised. The items were well liked. Very pleased with the quality. Received my t-shirt quickly, just in time for Father's Day. Thank you! I collect (and wear) Christian t-shirts and I am pleased that I found your company! I love the t-shirts I purchased from you and will continue to browse and most likely buy many more of your quality t-shirts. The shirts were a great quality and so was the printing on them. I am very happy with my purchase. Thank you. The t-shirt fits nicely and looks great. Very happy with the service and the product. I recommend you to everyone looking for this type of service. Awesome t-shirts and great price. Great merchandise. Will definitely order again. Received my t-shirt, so pretty, love it, totally satisfied with my order. Thank you!